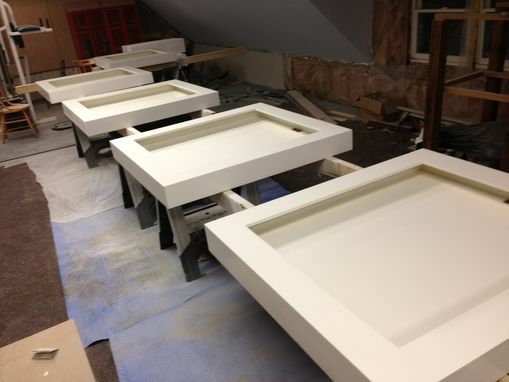 These shadow boxes are made from poplar with VC poplar backing. The boxes feature a hidden channel in the backs that allows for puck lighting. 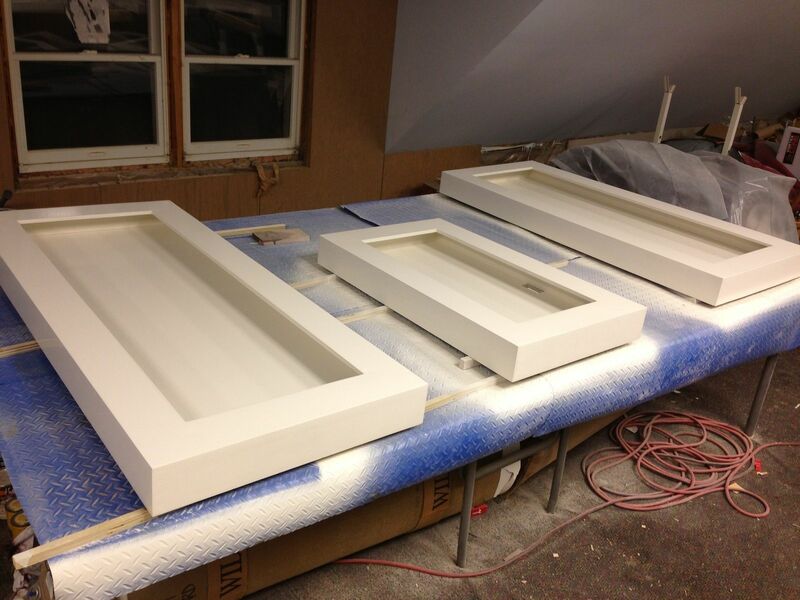 The boxes are finished in Benjamin Moore dove wing white paint. Further details can be made available upon request.